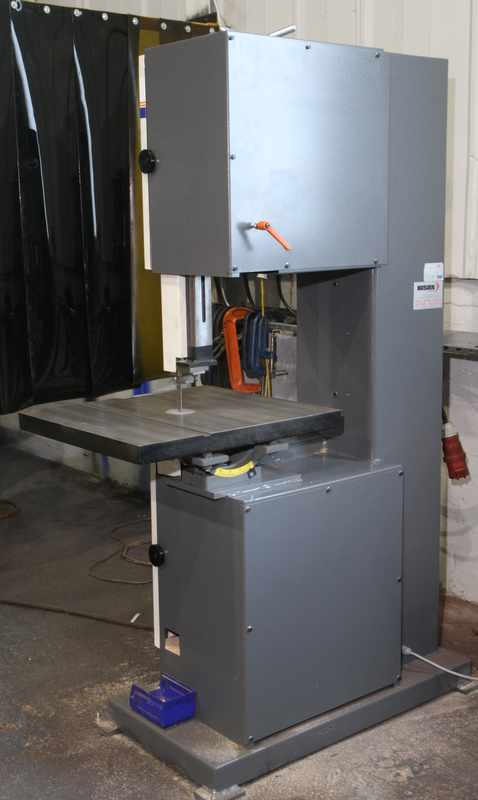 Used Bauer saw for sale, immaculate working condition. Model – 450V. Serial Number – 15-38013. 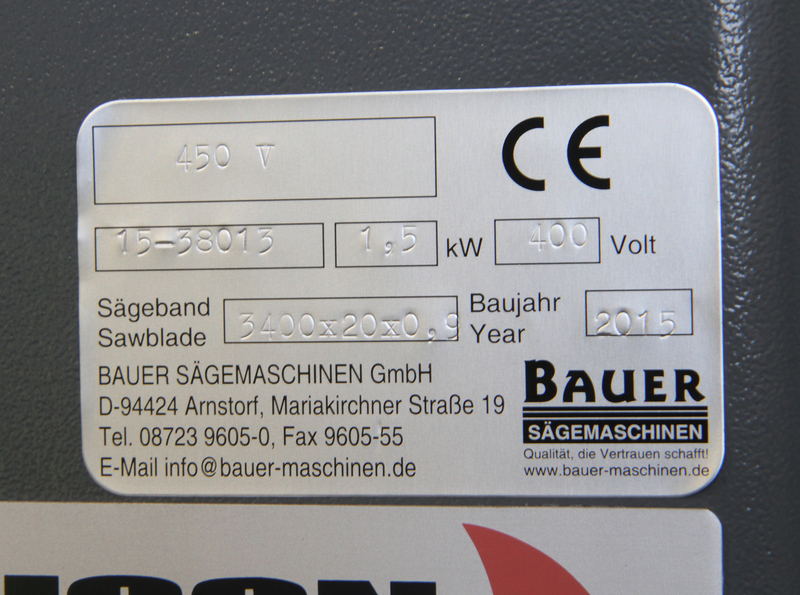 Motor – 1.5KW . V – 400. Sawblade – 3400 x 20 x 0.90. Complete with OEM handbook. For sale by online auction – click here. Auction closes 15 September. Be quick!